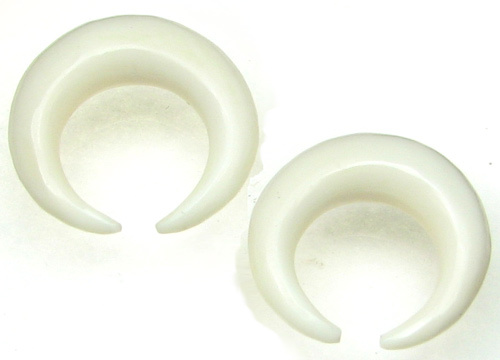 White bone captive hoops are like captive bead rings (CBR's) without the bead. They are light weight, comfortable, unique and eye catching. These water buffalo bone earrings were hand carved from natural material, rather than mass-manufactured, so some variation is present from ring to ring. Select your gauge size and click "Add to Cart".